Today I felt like wearing something neon with a twist. 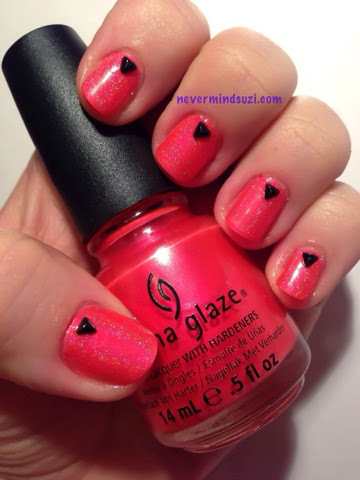 So here we have China Glaze - Surfin' for Boys, a neon coral. 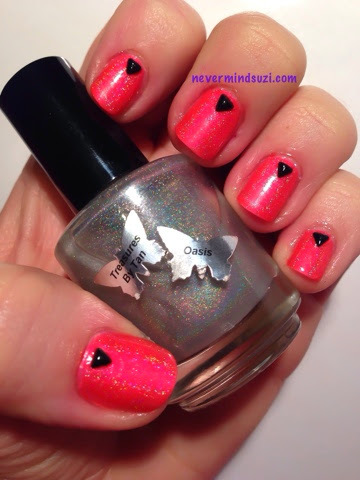 Topped with Treasures by Tan's awesome Oasis holo topcoat! 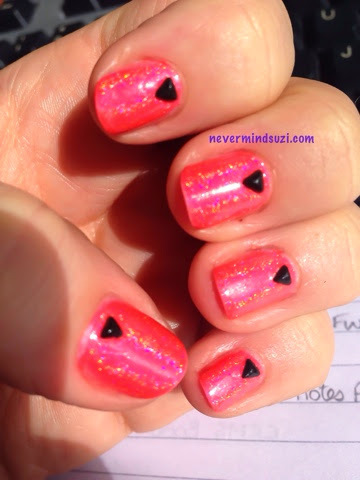 I also added some cute black, triangle rhinestones, they seem to be my new "thing".